Motivation Archives - Christian Business Revolution Have you ever thought about your business as a way to serve God? When we talk about business, we talk about mission statements and value statements. Yet, we forget the foundational values of the Christian business owner based on God's word. What does the Bible say about values? Do your Christian Values reach your customers? Why run a business on Christian values? I think Christians miss out on many blessings because they are not willing to step out and take chances. Whether it is witnessing to a friend, or growing a business, Christians should be bold about their faith in a God who gave them wisdom, courage and strength. 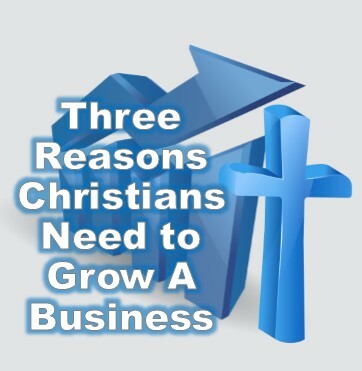 Today, let’s talk about three reasons Christians should grow their business. I am sure there are those that say, “We’ll just wait for God to grow our business.” I want to make sure you understand that waiting on God is a good thing. Waiting without taking action is not wise. God does not steer a parked car. Growing a business means helping more people. First and foremost, your business is helping people. You want to help people with your product or service. Beyond that you are helping your employees, your community and your family by providing for them. When you grow your business wisely, you are helping an ever increasing number of people. Growing a business means you are becoming more influential. As your business grows, you become more influential and more people will listen to you. They will see you as a success and you will have a larger platform to tell them of the blessings that you have received from God. Don’t discount success as a means to introduce people to Christ. Growing a business is the most spiritual thing you can do as a business owner. This may sound counterintuitive, but I want to put this in perspective. Growing your business gives you a larger platform from which to share about God. People listen to people who are successful and it allows you to impact their lives. When you succeed, people look at your habits and want to copy what you do. The reason growing your business is such a spiritual endeavor is because you are reading your Bible, actively getting involved in church, leading others, serving, and giving. People will see that you are living a life of integrity because ultimately God is your CEO. 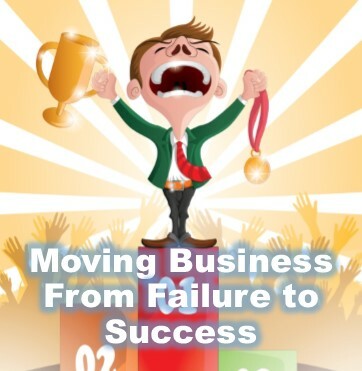 We’ve been talking about Christians failing in business because I think we are missing the point of being in business. Let me state it as plainly as possible: Business is the vehicle that brings people to God. Our entire lives have been sculpted and guided by God. Every moment of success and failure have been used to help us become the person we are today. All of those moments lead us to be a business owner and because we know God is real and our lives are touched by the hand of God, we are Christians. Yes, we must make money in order to survive as a business, but ultimately we can’t make money if we are not helping people. The best way I know to help people is to show them the undaunting love of Christ through our words, actions and our business. Not until we fully realize that our business is God’s business will be really begin to undertake the transformation that we need to do business. I know this may sound like pie in the sky thinking or some preacher telling us something we remember today and forget tomorrow, but it is more than that. Being a Christian is a way of life and if you are in business, it is the way you do business. Let’s get practical for a moment. What does this really look like to live out faith in a business? I work in the world of business marketing. Many of my clients ask me to help them with Facebook ads. When I set up ads I ask about their goals and their strategy. Often, their goal is to get more customer and they say their strategy is to use Facebook ads. I press in, “Why do you really want to get more customers? What would happen if you got 100 new customers? Could you help them?” I get various answers. It is here that something different happens. I begin to pray right in the middle of the meeting. I had prayed before the meeting, I prayed for this client throughout the week and I prayed for my understanding about using Facebook ads. I even read my Bible each day to gain wisdom from God and here at this very moment I am seeking and searching for God to guide my words and give me wisdom. You’d be surprised at how quickly the moment turns. 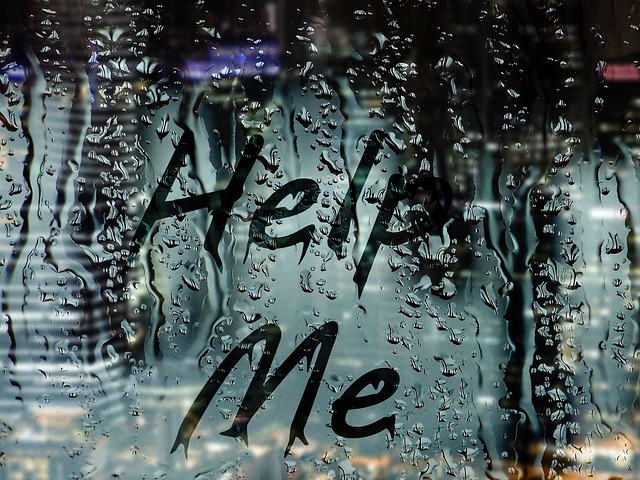 I have had people share with me about struggles in their family, medical issues, etc. All because I asked about their business and took time to engage God in the midst of my conversation. It is in these moments that I offer to pray for these people. If I find out they are a believer at any stage of believing I may point out a Bible verse. Yes, we complete the Facebook ad, but until this person is free from their pain, they can never truly engage their customers and grow their business. I have had clients start reading their Bible, start going back to church and even getting involved in group studies at their church. It excites me to see God working in their lives, not because of what I did, but because of what God did in these people. You may say, “Well, sure you can do this. You are a Reverend and trained to do things like this.” I would answer in two ways. One, I did the same thing before I even knew I was going to be a minister. Two, I will remind you about 1 Peter 2:9, “But you are a chosen people, a royal priesthood, a holy nation, God's special possession, that you may declare the praises of him who called you out of darkness into his wonderful light.” Even before I knew that I was called into ministry I was involved in business. I was talking to a family before I even knew I could be a minister and they were having medical struggles. I simply told them that I cared for them and I would be praying for them. They became great friends and I got to walk with them as they got back involved in church and the Mother went into remission. We rejoiced greatly and gave God all the Glory. I am nobody special. No more than you. You can impact and influence people’s lives just as easily as I did. You know how I know? Because the same God that lives and works in me, lives and works in you. Each of us are gifted in different ways. You may be able to reach people I could never reach. You may be the one person who could bring a particular person to know Christ. You have a responsibility. . nay…you have a privilege to bring people closer to Christ with every encounter and every contact. The reason Christian businesses fail is that they do not see God as the sole reason for what they do. They don’t give God the glory for every victory and ask His wisdom in every triumph. Remember, it is not about what you do, it is Who you do it for that makes the difference between a flourishing business and one that is holding on by a thread. After studying a lot of businesses over the years, I have pinned down three main reasons Christians are not growing in their business. Let me warn you. I am not writing to offend anyone. I am writing based on seeing what is working in business in the lives of Christian entrepreneurs. Take time to read each of these. Don’t just read the title and skim the rest. Read the meat of the story. Only when Christian business owners dig into their faith can they dig into the blessings of God for their lives and their busiensses. We touched base on this in our previous article, but I want to take it a step further. Let me start by telling you a story. I was working as a minister at a church. While leaving one day there was a lady in the parking lot, chain smoking. She looked up at me and with a straight face said, “I’m praying that God will deliver me from smoking.” I replied, “It might help if you stop buying cigarettes.” I have no doubt God can deliver people from all kinds of habits, but we must take action. We can’t just sit in our office and wait for God to bless us, we have to get out there and see the opportunities that God provides. We can only do that when we have a constant, consistent prayer conversation with the God of the universe. I know people who get up at three in the morning to pray for an hour. That is awesome! But don’t let it stop there. Let prayer become integrated into your entire day. When the phone rings, ask God for wisdom and the ability to help whoever is on the other end of the line before you answer it. Praying for business is more than just expecting God to grow your business. Praying for your business means you are seeking God with your whole heart, mind, body and soul. You are looking to God as your CEO and asking Him before making any decisions. Here’s a quick exercise: For one day, write down all the things that you can pray for. Start with employees, customers and vendors. Then, write down products, divisions and locations. Write down your website and all your marketing endeavors. The list will be a long list and that is perfectly OK. Now you have a road map of things you can pray for. By doing this, you have set your mind to be aware of how God is working in and through you all day as you work His business. Attitude can be a double edged sword. On one side, we have such a great attitude that we leave God aside because of our ego. On the other side, we have such a lowly view of life because we are a sinner. There is balance between the two. First and foremost, you are child of God. You are child of the King. You are child of the King of Kings. That alone should give you confidence. Yet, that should not give us license to do whatever we want. We are stewards of the King’s people. We are to take care of them as if they were our own. God has entrusted us with the responsibility of the lives He has put in our business. So what does all of this have to do with attitude? We can read books about positive thinking. We can watch lots of motivational videos. Yet none of those really make a lasting impression until we realize our value and our place in this universe. God gave you the ability to run a business. He gave you skills and opportunities. He gave you a brain to learn what you need to learn to grow your faith and your business. He gave you the wisdom to turn to Him, rely on Him and trust Him. Our attitude should line up with Jesus who humbled Himself as a Servant. We are to serve others out of our gratitude to God for all He has done for us. Our attitude must come from our identity in God, not our success in this world. Here’s an exercise: (You may want to do this on paper and out of the view of others.) Write down everyone in your business that you are better than. Seriously, check your heart. Who do you feel like you are better than? Write their name or initials and why you are better than them. Then, go back through the list. How is that same person better than you? This is a tough exercise, but partnered with praying for these people, this could become a powerful exercise for you in your business. You will see the value in yourself and the value others add. If you want to take it a step further, take a day to be grateful for each person and send them a hand written note of thanks. Encourage their character and edify them. I know this is a tough article for some of us. God wants to chisel away at the things that are holding us back from doing all that He has called us to do. As long as we hold on to the comfortable chains that bind us, we will never grow in the blessings that God wants to bring us. When we have ‘you’ as the center of our business our business will never grow. Yes, there are large personalities that grew large businesses, only to quickly fail with one attack to their character. A business built on ‘you’ is centered on what you can do and what you want to do. It does not take into consideration all that God has done or His guidance. It focuses on making a buck so that ‘my’ life can be better. I struggle with this just like everyone else. This week I have turned down at least three great ideas that would have made me a lot of money. I could jump on some fad or sell some hot product, but in the end that does not bring glory to God. God is the center of all we do as Christians. When we place ourselves on the throne instead of God, our values and ideas become warped. I am sure you can think of some movie or TV series where the wrong king got on the throne and ruined the entire kingdom. God gifted us with skills, talents and aspirations. He does not want us to give up our personality to serve Him. He wants to complete that personality. He wants to help make you the best you possible. He created you and knows the best version of who you are. Business may be started as a solo act, but as we grow we need to let others take on parts of our business. Delegation is a valuable skill and you can see it all throughout the Bible. God gave you a personality, to bring other personalities and help more people with His business. Business is about helping people and bringing Glory to God. When ‘you’ is the center of the business, all glory goes to self. The business will slowly depreciate and the ‘you’ that is on top will soon find that it is lonely at the top. It does not need to be that way if you line up who you are with who God is. Here’s an exercise: Write down all of the things that make you special. Write down your talents, skill, and training. Look on your resume or your LinkedIn profile. Write down any rewards, certifications or awards. I want you to write down everything that you are proud of. It should be a long list and that is a good thing because God has made you a blessed person. Now, take that list and one by one, check off each as you thank God for giving you that gift. Take a few days. Really pray and thank God for that item on your list. Pray more than just a single sentence prayer. Pray for everything that surrounds that item. You will begin to see God’s interweaving your life to make you the person you are today. I often wonder why Christian businesses fail. It really bugs me and honestly, I think it bugs God. God does not set us up to fail. I have to share a little rant today. 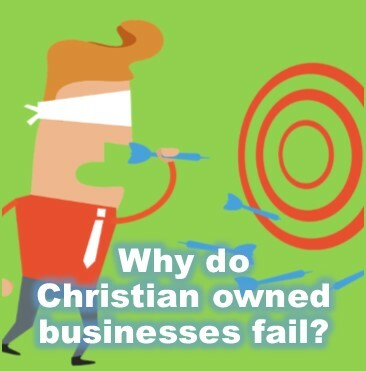 . . I’m tired of seeing Christian in business fail! There are too many opportunities in this world and with God on our side, why are not more Christians succeeding? We can’t help but succeed . . . IF we put Him first. That is the first issue I have with Christian business owners. Sure, they pray, but prayer is not an integral part of their business life. They say a prayer like, “God help me succeed in business today.” What a selfish prayer. Look at what James says in Chapter 4, “If it is the Lord’s will, we will live and do this or that.” See the slight difference? We are to put the Lord FIRST. When we start our business. When we open for business each day. When we are doing well. When we are failing. When we are mad and want to give up. When we are excited and ready to take on the world. God is with us each step of the way. He wants us to acknowledge Him as the True Owner of our business. I work with all kinds of business owners. From multi-million dollar companies to businesses that are just starting out. I work with Christian and non-Christian business owners. The Christians who are succeeding have a breath of fresh air about them. They have God integrated into their whole way of doing business. 1 It is more than just quoting some Bible verses and putting God in our value statement. It is whole-heartedly following Jesus as a true believer . . . a disciple. It is understanding that God is in everything we do and everything we do, we do for Him. Listen Christian business owner, let’s not wait for something to happen, let’s make it happen. Let’s call on God and sit down with Him in a One on one ‘board meeting.’ He is the Owner and we should not move until He says move. And when God says move, we should take action. We should learn all we need to do the most excellent work for a Most Excellent God. We should implement with His plan in our business and wisely take the steps we need to prepare for the growth that He wants us to have. 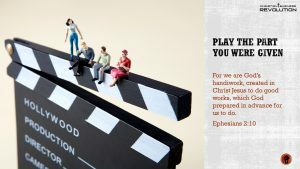 Christian, take action today. Sit down with the True CEO of your business. Get away from the office if you have to, but take time to really seek His will for your business. Only then, with that solid foundation, will you have a business that succeeds and honors God. As a Christian, your prayer life may be the biggest secret to your success. This week we talked about using email marketing for business. I wanted to make sure you are considering your marketing in prayer. When you send out emails, you are sending something to help another person. Hopefully, you are taking time to pray for each person and each email you send. I ran across this prayer for business. I always wonder what kind of prayers other Christian entrepreneurs pray. If you ever struggle praying for your business, listen to this prayer. Let it give you some prompts to begin to pray fervently for you business. Prayer is not what we do because we have to it's what we do because we understand its power. You don’t need to compromise your morals or act ruthless to be successful in business. 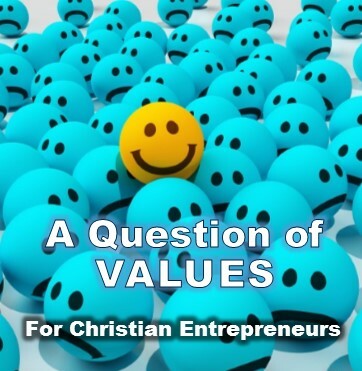 There are many Christians who are succeeding in business without compromising their values. Thanks to SmartandRelentless for sharing this wisdom. When we talk about business, we talk about mission statements and value statements. Yet, we forget the foundational values of the Christian business owner based on God’s word. We talked about the action of integrity and the decision of character. Today, I want to get into the values found in God’s word. Biblical values are the core beliefs that guide everything we do in life and business as a Christian. . . or at least they should be. Instead of listing all the values we can find in God’s word let’s look at a good and bad example of using values from God’s word. Let’s start with the bad. There was a time, horrible as it was, when people used God’s word to force others into slavery. They took the Bible out of context to fit what they wanted in this life. They distorted God’s word to suit their needs. Honestly, there are some churches that exist today that distort God’s word to make life comfortable for them or miserable for others. That is not and has never been what God’s word is about! Christian values simply means we are basing our lives on the Bible. We have a foundation to God’s word that undergirds. . . upholds or braces…our entire life. We use God’s word as the ‘glasses’ by which we see the world. They tell us how we worship God, treat people, and interact with the world we live in. As Christian entrepreneurs, we must understand God’s word foundationally. We must dig down deep into the solid foundational truth of what God says. If God does not directly state a fact, we must be cautious to tread where only angels dare walk. The Bible is not a convenient book. It is however a book that will shape your life and your business in ways that will stand the test of time. I think back to Zig Ziglar. He left this world and what he built still stands and still grows because he based his entire concept of life on God’s word. How good is your biblical understanding of God’s word? How much do you really know about what the Bible says about business? How much time do you spend digging into God’s word to find how He wants you to run your business and live your life? If you need some help getting started, we have a free membership to help you get a strong foundation to what God says about the Bible. If you would rather, I have a 10 minute webinar that helps you understand how to understand the Bible better. I urge you, plead you! Until we dig into God’s word and apply His principles to our business and personal lives, Christians will never be respected as the Children of God we are called to be. Do something TODAY, Christian! I think Christians miss out on many blessings because they are not willing to step out and take chances. Whether it is witnessing to a friend, or growing a business, Christians should be bold about their faith in a God who gave them wisdom, courage and strength. Today, let’s talk about three reasons Christians should grow their business. I am sure there are those that say, “We’ll just wait for God to grow our business.” I want to make sure you understand that waiting on God is a good thing. Waiting without taking action is not wise. God does not steer a parked car. This may sound counterintuitive, but I want to put this in perspective. Growing your business gives you a larger platform from which to share about God. People listen to people who are successful and it allows you to impact their lives. When you succeed, people look at your habits and want to copy what you do. The reason growing your business is such a spiritual endeavor is because you are reading your Bible, actively getting involved in church, leading others, serving, and giving. People will see that you are living a life of integrity because ultimately God is your CEO. I am not going to pretend growing a business in and of itself is spiritual. What makes is spiritual is the enlivened power of God working in and through your business. God did not bless Jabez just because he asked. God blessed him because He knew Jabez would be an influential person who would speak for the King of Kings. The Bible says his influence came from his honor and that honor was directly rooted in the power of God. Christian, I want to encourage you to grow your business. If you need some help, get involved with our growth membership and get on the right path or at least find a mentor or accountability partner that can help you grow. We grow best when we grow together strengthening and encouraging one another. Our entire lives have been sculpted and guided by God. Every moment of success and failure have been used to help us become the person we are today. All of those moments lead us to be a business owner and because we know God is real and our lives are touched by the hand of God, we are Christians. Yes, we must make money in order to survive as a business, but ultimately we can’t make money if we are not helping people. The best way I know to help people is to show them the undaunting love of Christ through our words, actions and our business. Not until we fully realize that our business is God’s business will be really begin to undertake the transformation that we need to do business. I know this may sound like pie in the sky thinking or some preacher telling us something we remember today and forget tomorrow, but it is more than that. Being a Christian is a way of life and if you are in business, it is the way you do business. Let’s get practical for a moment. What does this really look like to live out faith in a business? I work in the world of business marketing. Many of my clients ask me to help them with Facebook ads. When I set up ads I ask about their goals and their strategy. Often, their goal is to get more customer and they say their strategy is to use Facebook ads. I press in, “Why do you really want to get more customers? What would happen if you got 100 new customers? Could you help them?” I get various answers. It is here that something different happens. I begin to pray right in the middle of the meeting. I had prayed before the meeting, I prayed for this client throughout the week and I prayed for my understanding about using Facebook ads. I even read my Bible each day to gain wisdom from God and here at this very moment I am seeking and searching for God to guide my words and give me wisdom. You’d be surprised at how quickly the moment turns. I have had people share with me about struggles in their family, medical issues, etc. All because I asked about their business and took time to engage God in the midst of my conversation. It is in these moments that I offer to pray for these people. If I find out they are a believer at any stage of believing I may point out a Bible verse. Yes, we complete the Facebook ad, but until this person is free from their pain, they can never truly engage their customers and grow their business. I have had clients start reading their Bible, start going back to church and even getting involved in group studies at their church. It excites me to see God working in their lives, not because of what I did, but because of what God did in these people. Even before I knew that I was called into ministry I was involved in business. I was talking to a family before I even knew I could be a minister and they were having medical struggles. I simply told them that I cared for them and I would be praying for them. They became great friends and I got to walk with them as they got back involved in church and the Mother went into remission. We rejoiced greatly and gave God all the Glory. I am nobody special. No more than you. You can impact and influence people’s lives just as easily as I did. You know how I know? Because the same God that lives and works in me, lives and works in you. Each of us are gifted in different ways. You may be able to reach people I could never reach. You may be the one person who could bring a particular person to know Christ. You have a responsibility. . nay…you have a privilege to bring people closer to Christ with every encounter and every contact. The reason Christian businesses fail is that they do not see God as the sole reason for what they do. They don’t give God the glory for every victory and ask His wisdom in every triumph. Remember, it is not about what you do, it is Who you do it for that makes the difference between a flourishing business and one that is holding on by a thread. Take action. Go back to our previous article and do the three exercises (click here). Line up your life and your business with God as your CEO. Commit to the basics of reading your Bible, praying, getting involved in church, giving and worshipping our Savior. You may not know me, but I am praying for you. I prayed for everyone who will see this post. I prayed that my words would be His words and your life will be edified because of Him speaking to you through these words. If you sign up for our Faith Membership, which is totally FREE, I have your name and I will pray for you by name. If you want me to pray for you specifically, just let me know by responding to one of my emails. Once you get your business lined up with God if you need some guidance, I offer a monthly training specifically on business principles, strategies and tips. You can even submit a question specifically about your business for these trainings if you are part of the Growth Program. In my personal business I have to charge hundreds of dollars for this kind of consulting, but I offer it here on this web page for pennies a day. Consider getting involved with our Faith (free) or Growth program. To God be the Glory both Now and Forever, Amen! Let me warn you. I am not writing to offend anyone. I am writing based on seeing what is working in business in the lives of Christian entrepreneurs. Take time to read each of these. Don’t just read the title and skim the rest. Read the meat of the story. Only when Christian business owners dig into their faith can they dig into the blessings of God for their lives and their busiensses. We touched base on this in our previous article, but I want to take it a step further. Let me start by telling you a story. I have no doubt God can deliver people from all kinds of habits, but we must take action. We can’t just sit in our office and wait for God to bless us, we have to get out there and see the opportunities that God provides. We can only do that when we have a constant, consistent prayer conversation with the God of the universe. I know people who get up at three in the morning to pray for an hour. That is awesome! But don’t let it stop there. Let prayer become integrated into your entire day. When the phone rings, ask God for wisdom and the ability to help whoever is on the other end of the line before you answer it. Praying for business is more than just expecting God to grow your business. Praying for your business means you are seeking God with your whole heart, mind, body and soul. You are looking to God as your CEO and asking Him before making any decisions. Here’s a quick exercise: For one day, write down all the things that you can pray for. Start with employees, customers and vendors. Then, write down products, divisions and locations. Write down your website and all your marketing endeavors. The list will be a long list and that is perfectly OK. Now you have a road map of things you can pray for. By doing this, you have set your mind to be aware of how God is working in and through you all day as you work His business. Attitude can be a double edged sword. On one side, we have such a great attitude that we leave God aside because of our ego. On the other side, we have such a lowly view of life because we are a sinner. There is balance between the two. First and foremost, you are child of God. You are child of the King. You are child of the King of Kings. That alone should give you confidence. Yet, that should not give us license to do whatever we want. We are stewards of the King’s people. We are to take care of them as if they were our own. God has entrusted us with the responsibility of the lives He has put in our business. So what does all of this have to do with attitude? We can read books about positive thinking. We can watch lots of motivational videos. Yet none of those really make a lasting impression until we realize our value and our place in this universe. God gave you the ability to run a business. He gave you skills and opportunities. He gave you a brain to learn what you need to learn to grow your faith and your business. He gave you the wisdom to turn to Him, rely on Him and trust Him. Our attitude should line up with Jesus who humbled Himself as a Servant. We are to serve others out of our gratitude to God for all He has done for us. Our attitude must come from our identity in God, not our success in this world. Here’s an exercise: (You may want to do this on paper and out of the view of others.) Write down everyone in your business that you are better than. Seriously, check your heart. Who do you feel like you are better than? Write their name or initials and why you are better than them. Then, go back through the list. How is that same person better than you? This is a tough exercise, but partnered with praying for these people, this could become a powerful exercise for you in your business. You will see the value in yourself and the value others add. If you want to take it a step further, take a day to be grateful for each person and send them a hand written note of thanks. Encourage their character and edify them. I know this is a tough article for some of us. God wants to chisel away at the things that are holding us back from doing all that He has called us to do. As long as we hold on to the comfortable chains that bind us, we will never grow in the blessings that God wants to bring us. When we have ‘you’ as the center of our business our business will never grow. Yes, there are large personalities that grew large businesses, only to quickly fail with one attack to their character. A business built on ‘you’ is centered on what you can do and what you want to do. It does not take into consideration all that God has done or His guidance. It focuses on making a buck so that ‘my’ life can be better. I struggle with this just like everyone else. This week I have turned down at least three great ideas that would have made me a lot of money. I could jump on some fad or sell some hot product, but in the end that does not bring glory to God. God is the center of all we do as Christians. When we place ourselves on the throne instead of God, our values and ideas become warped. I am sure you can think of some movie or TV series where the wrong king got on the throne and ruined the entire kingdom. God gifted us with skills, talents and aspirations. He does not want us to give up our personality to serve Him. He wants to complete that personality. He wants to help make you the best you possible. He created you and knows the best version of who you are. Business may be started as a solo act, but as we grow we need to let others take on parts of our business. Delegation is a valuable skill and you can see it all throughout the Bible. God gave you a personality, to bring other personalities and help more people with His business. Business is about helping people and bringing Glory to God. When ‘you’ is the center of the business, all glory goes to self. The business will slowly depreciate and the ‘you’ that is on top will soon find that it is lonely at the top. It does not need to be that way if you line up who you are with who God is. Here’s an exercise: Write down all of the things that make you special. Write down your talents, skill, and training. Look on your resume or your LinkedIn profile. Write down any rewards, certifications or awards. I want you to write down everything that you are proud of. It should be a long list and that is a good thing because God has made you a blessed person. Now, take that list and one by one, check off each as you thank God for giving you that gift. Take a few days. Really pray and thank God for that item on your list. Pray more than just a single sentence prayer. Pray for everything that surrounds that item. You will begin to see God’s interweaving your life to make you the person you are today. Whew! This was a tough article to write. I have prayed and really searched for the words that I felt like God wanted you to hear. It is not easy to line up our lives with what God wants, but it is worth it. Take each of the above exercises seriously. Do one a week for the next three weeks even if you think you are on course with God. It will strengthen your resolve to be a Christian first and a business owner second. It will line your business up with God and His plans for your business. It will show God that you really think He is the CEO . I have to share a little rant today. 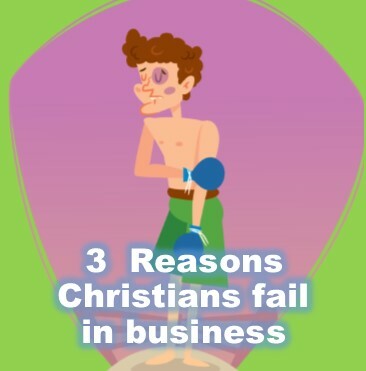 . .
I’m tired of seeing Christian in business fail! There are too many opportunities in this world and with God on our side, why are not more Christians succeeding? We can’t help but succeed . . . IF we put Him first. That is the first issue I have with Christian business owners. Sure, they pray, but prayer is not an integral part of their business life. They say a prayer like, “God help me succeed in business today.” What a selfish prayer. We are to put the Lord FIRST. When we start our business. When we open for business each day. When we are doing well. When we are failing. When we are mad and want to give up. When we are excited and ready to take on the world. God is with us each step of the way. He wants us to acknowledge Him as the True Owner of our business. I work with all kinds of business owners. From multi-million dollar companies to businesses that are just starting out. I work with Christian and non-Christian business owners. The Christians who are succeeding have a breath of fresh air about them. They have God integrated into their whole way of doing business. It is more than just quoting some Bible verses and putting God in our value statement. It is whole-heartedly following Jesus as a true believer . . . a disciple. It is understanding that God is in everything we do and everything we do, we do for Him. Listen Christian business owner, let’s not wait for something to happen, let’s make it happen. Let’s call on God and sit down with Him in a One on one ‘board meeting.’ He is the Owner and we should not move until He says move. And when God says move, we should take action. We should learn all we need to do the most excellent work for a Most Excellent God. We should implement with His plan in our business and wisely take the steps we need to prepare for the growth that He wants us to have. Christian, take action today. Sit down with the True CEO of your business. Get away from the office if you have to, but take time to really seek His will for your business. Only then, with that solid foundation, will you have a business that succeeds and honors God. This week we talked about using email marketing for business. I wanted to make sure you are considering your marketing in prayer. When you send out emails, you are sending something to help another person. Hopefully, you are taking time to pray for each person and each email you send. I ran across this prayer for business. I always wonder what kind of prayers other Christian entrepreneurs pray. If you ever struggle praying for your business, listen to this prayer. Let it give you some prompts to begin to pray fervently for you business. Prayer is not what we do because we have to it’s what we do because we understand its power.